The Artivist Collective is pleased to announce the Artivist Award winning films for the 7th Annual Artivist Film Festival. Artivist is the first film festival dedicated to addressing International Human Rights, Children's Advocacy, Environmental Preservation, and Animal Advocacy. The Artivist Awards go to a feature and short in each of these four categories. Additionally the Artivist Spirit Award goes to the film that best embodies the overall mission of the festival. Raising awareness for the interdependence between Humanity, Animals, and the Environment is the true mission of Artivist. Filmmakers and NGOs from around the world gather at the Artivist Awards to celebrate films that not only inform but inspire. The Artivist Collective is pleased to announce the Artivist Award winning films for the 7th Annual Artivist Film Festival. This year’s festival will take place December 1-4 at the historic Egyptian Theatre in Hollywood, screening over 40 independent, narratives, documentaries, shorts, and experimental films from around the globe. The festival concludes with The 2010 Artivist Awards on Saturday, December 4. 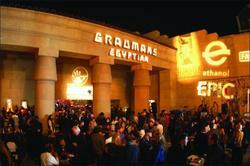 The Artivist Awards is followed by an organic, vegan, catered reception and musical entertainment in the forecourt of the Egyptian Theatre. The festival’s mission is to strengthen the voice of advocate artists - "Artivists" - while raising public awareness for global causes. Best Short - International Human Rights - Mine: Story of a Sacred Mountain - Survival Int. The Artivist Awards also honor those artists whose exemplary work in their community stands out as a shining example of one person's ability to change the world for the better. Past Artivist Award recipients include: Ted Danson, Alyssa Milano, Joaquin Phoenix, Matthew McConaughey, Mira Sorvino, James Cromwell, Ed Begley Jr, Tippi Hedren, Claes Nobel of the NOBEL Prize Family and Mike Farrell. The 2010 recipients will be announced soon. Since its inception in 2004, the Artivist Film Festival has showcased over 400 films representing more than 60 countries around the world. Artivist has reached millions of people with its film festivals in Hollywood, London, Tokyo, Mexico City, and Lisbon, and through its website at http://www.Artivist.com. Additionally, in recognition of the socially conscious platform it provides, Artivist has been endorsed by Claes Nobel of the Nobel Prize family, Amnesty International, and the United Nations Department of Public Information. Many films awarded at Artivist have gone on to great acclaim including Academy Award winner Born Into Brothels, Academy Award Nominees Super-Size Me and God Sleeps in Rwanda, and the Los Angeles Premieres of Fast Food Nation, Emmanuelle's Gift, Stolen Childhoods, Zeitgeist, Zeitgest Addendum and Trudell. Every day, a sea of passengers floods the Majestic Railway Station of Bangalore City. Beneath the commotion of commuters, a group of orphans live beneath the station, recycling the trash the passengers have left behind. Kids of the Majestic is a documentary by filmmaker Dylan Verrechia and Dr. Suhas Radhakrishna that follows these kids as they look out for each other and remain positive despite hardship: Rafik, a smiling young drug addict; Mental Manja, nicknamed 'mental' because he didn't speak until he was 10; Arun-Badur, the creative soul who enlivens the bleak environs with his art; Baba, who at 8 has travelled throughout India alone; and Joti, a mother-to-be at 16. The filmmakers befriended these children who, uneasily and slowly, opened up to them, sharing the life stories no one has heard. This documentary shows not only the reality and hardship of these children, but also the positive aspects this social group has within its community. It was once known as 'the place where Noah left his Ark' - 4,000 square kilometers of lush floodplains in central Mozambique, packed with wild animals. But 15 years of civil war has taken a heavy toll- and many species have been almost completely wiped out. Journey with National Geographic to Mozambique's Gorongosa National Park and discover what is being done to bring this Africa oasis back to its former glory- including perhaps the most ambitious restoration effort ever attempted, with elephants, hippos and scores of zebra, wildebeest, impala and buffalo being relocated into the park. Almost every time we use energy, we burn carbon. Every time we burn carbon, we heat up the atmosphere. It's a dirty fact that Global Warming can’t be stopped as long as fossil fuels run our planet. We can fix this. Over three years in the making, 'Deep Green' is the first documentary devoted exclusively to showing us how. Accompanied by an international team of award-winning cinematographers, filmmaker Matt Briggs takes us on a compelling journey to nine countries, including China, to uncover the best people with the best ideas, strategies and cutting-edge technologies that can get the job done... if we start now. This inspiring feature presentation includes two electrifying animated shorts on the devastating effects of clear-cutting our rainforests and burning carbon for energy on the fragile ecosystems within our oceans. “Albatrocity” was made on a very limited budget of only $2000 NZD. This was the budget for a trip to film the Southern Royal Albatross in their natural environment on Campbell Island, a remote New Zealand territory in the southern ocean. This trip allowed the filmmakers to film the birds in their untouched yet fragile habitat, and also helped them appreciate how at ease and graceful Albatross are in the violent storms of the southern ocean. Consequently, the film portrays these almost fantastical animals in a suitably creative way, using Samuel Colleridge's atmospheric and metaphoric poem, 'The Rime of the Ancient Mariner' as a modern day metaphor for the detrimental relationship between seabirds and commercial fishing. A young girl's veiled cry for help touches the heart of a sympathetic teacher. Jonash does not know what sunlight is. He has never seen a tree or the sky. He has never left his room. He does not need to. But that note makes him think, and the simple idea of having an option, becomes powerful. Arena, biography of a revolution. Voiced by the incomparable Tom Kenny (Sponge Bob) with Jill Talley, “The Krill is Gone” brings comic awareness to the looming danger of man-made global warming on the fragile ecosystems deep within our oceans. As this ominous tale begins, our host – the Robin Leach-like Plankton Emiliania Huxleyi — introduces us to his undersea world just seconds before he is devoured by a ditzy Krill, who quickly sheds her shell in a successful maneuver to outwit a predator only to have trouble sprouting another. As the tour continues, we spot a celebrity tuna who looks and talks suspiciously like Al Gore, dodge a swarm of deadly jellyfish, and watch in horror when the dastardly source of the problem is finally revealed. The Dongria Kondh are one of India’s most remote tribes. In a stunning real-life version of Avatar, the metals giant Vedanta Resources is intent on mining the tribe’s sacred Niyamgiri mountain for bauxite, the raw material for aluminium. But the Dongria Kondh don’t simply accept their fate; they decide to fight. ‘Mine’ has been watched over 600,000 times online and is truly a David versus Goliath victory for the Dongria Kondh. The Indian government blocked Vedanta’s mine in August 2010.